Now in just released ProPhoto 6, version 6.14 will feature the ability to preview and customize a different design other than the “live” version your customers see. This comes along with a new design of the Manage Designs screen that features improved usability. The 6.14 version release also includes a Coming Soon – Maintenance Mode and embedded galleries that can be displayed as an interactive visual element. 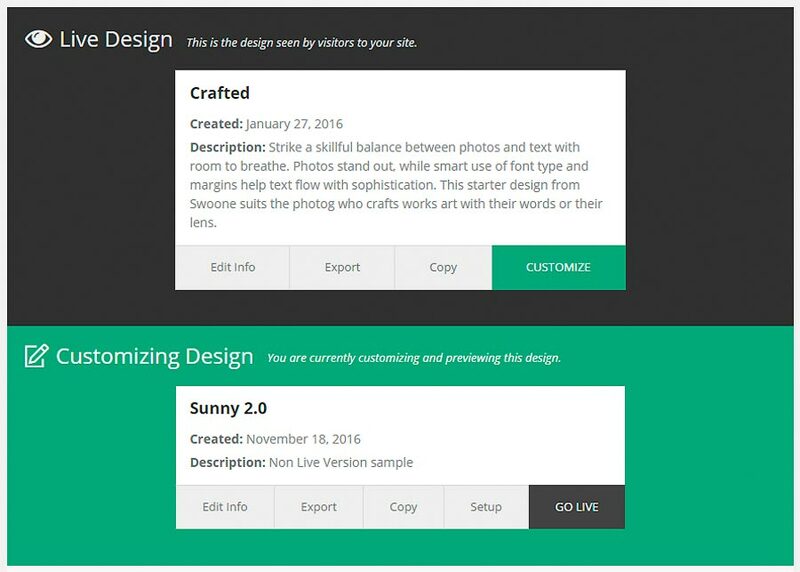 Now you can tweak and change a new Prophoto 6 design without have to display it live on your website.